This course covers analysis, design, and operations of organizational systems. The systems approach is used to provide a framework or general model of analysis, to which specific concepts, quantitative techniques, and tools can be related. The material presented has application to any organization of people and machines, including hospitals, government agencies, service organizations, and industrial concerns. Shafer, Scott. M. and Jack R. Meredith, Operations Management, A process Approach with Spreadsheets, Wiley, 1998. Forecast demand and its importance for effective production planning. Develop production plans and their importance for the financial success of the organization. Develop inventory control systems and their interrelationship with the production planning function. Develop effective Project Management mechanisms. Develop short and long term schedules for the production equipment of the organization. Simulate the various production functions of the organization. These are the case studies we discussed in class. View the Harvard Business Review Case. 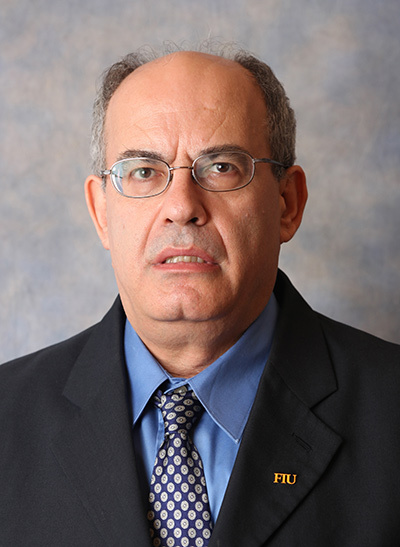 Dr. Koulamas has refereed journal articles published in Operations Research, Naval Research Logistics, IIE Transactions, Discrete Applied Mathematics, European Journal of Operational Research, Computers and Operations Research, International Journal of Production Research, and others. 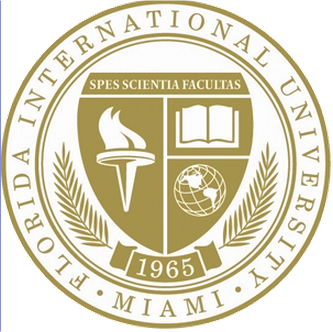 Florida International University has honored Dr. Koulamas with a Teaching Incentive Program Award and a Faculty Research Award. Additionally, he is a member of INFORMS, DSI, and POMS. Kyparisis, G. J., & Koulamas, C. (2011). A note on the classification of consumer demand functions with respect to retailer pass-through rates. European Journal of Operational Research, 211(1), 213-215. Kyparisis, G. J., & Koulamas, C. (2011). A note on the optimality of index priority rules for search and sequencing problems. Naval Research Logistics, 58(2), 83-87. Koulamas, C. (2011). 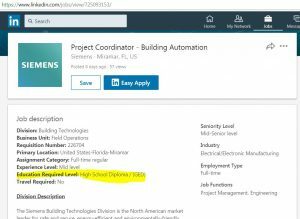 A unified solution approach for the due date assignment problem with tardy jobs. International Journal of Production Economics, 132(2), 292-295. Koulamas, C., Gupta, S. K., & Kyparisis, G. J. (2010). A unified analysis for the single-machine scheduling problem with controllable and non-controllable variable job processing times. European Journal of Operational Research, 205(2), 479-482. Koulamas, C. (2010). A faster algorithm for a due date assignment problem with tardy jobs. Operations Research Letters, 38(2), 127-128. Koulamas, C., & Kyparisis, G. J. (2010). A note on the effects of downstream efficiency on upstream pricing. European Journal of Operational Research, 200(3), 926-928. Koulamas, C. (2010). A note on single-machine scheduling with job-dependent learning effects. European Journal of Operational Research, 207(2), 1142-1143. Koulamas, C., & Kyparisis, G. J. (2010). Single-machine scheduling problems with past-sequence-dependent delivery times. International Journal of Production Economics, 126(2), 264-266. Koulamas, C. (2010). The single-machine total tardiness scheduling problem: Review and extensions. European Journal of Operational Research, 202(1), 1-7. Gupta, S. K., Koulamas, C., & Kyparisis, G. J. (2009). E-business: A review of research published in production and operations management (1992-2008). Production and Operations Management, 18(6), 604-620. Koulamas, C. (2009). A faster fully polynomial approximation scheme for the single-machine total tardiness problem. European Journal of Operational Research, 193(2), 637-638. Koulamas, C., & Kyparisis, G. J. (2009). A note on the proportionate flow shop with a bottleneck machine. European Journal of Operational Research, 193(2), 644-645. Koulamas, C., & Kyparisis, G. J. (2009). A modified LPT algorithm for the two uniform parallel machine makespan minimization problem. European Journal of Operational Research, 196(1), 61-68. Koulamas, C., & Kyparisis, G. J. (2008). An improved Delayed-start LPT Algorithm for a Partition Problem on Two Identical Parallel machines. European Journal of Operational Research, 187(2), 660-666. Koulamas, C., & Kyparisis, G. J. (2008). Single Machine Scheduling with Waiting-Time-Dependent Due Dates. European Journal of Operational Research, 191(2), 576-581. Koulamas, C. (2008). The Manufacturer’s Response to Stock-outs in a Single Manufacturer-Retailer Channel. International Journal of Services and Operations Management, 4(4), 417-426. Koulamas, C., & Kyparisis, G. J. (2007). A note on the two-stage assembly flow shop scheduling problem with uniform parallel machines. European Journal of Operational Research, 182(2), 945-951. Koulamas, C., & Kyparisis, G. J. (2007). A note on performance guarantees for sequencing three-stage flexible flowshops with identical machines to minimize makespan . IIE Transactions, 39(5), 559-563. Kyparisis, G. J., & Koulamas, C. (2006). A Note on Makespan Minimization in Two-Stage Flexible Flow Shops with Uniform Machines. European Journal of Operational Research, 175(2), 1321-1327. Kyparisis, G. J., & Koulamas, C. (2006, June ). Algorithms with Performance Guarantees for Flow Shops with Regular Objective Functions. INFORMS International Conference on Operations Research and Management Science, Hong Kong, China. 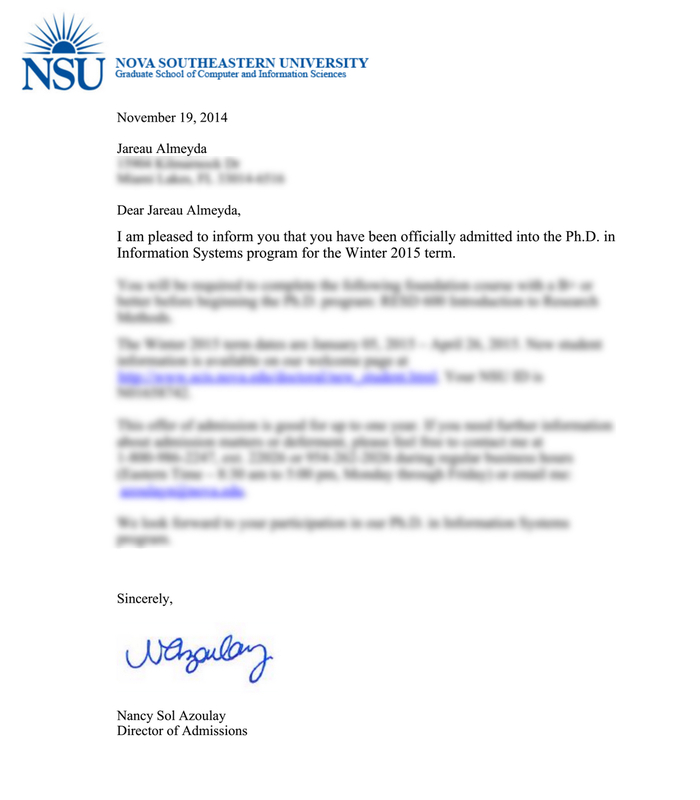 I’m very excited to start on the Ph.D. journey this coming January, 2015. It’s going to be a long road, with lots of work. Nova Southeastern University’s Doctoral degree in Information Systems will be a welcomed compliment to my MBA and my history in Information Technology.